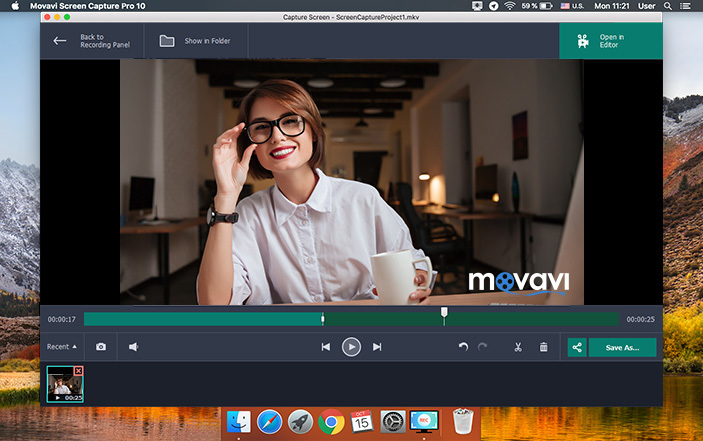 Movavi Screen Capture Pro for Mac is the ideal way to show colleagues what’s happening on your desktop through video and screenshots. 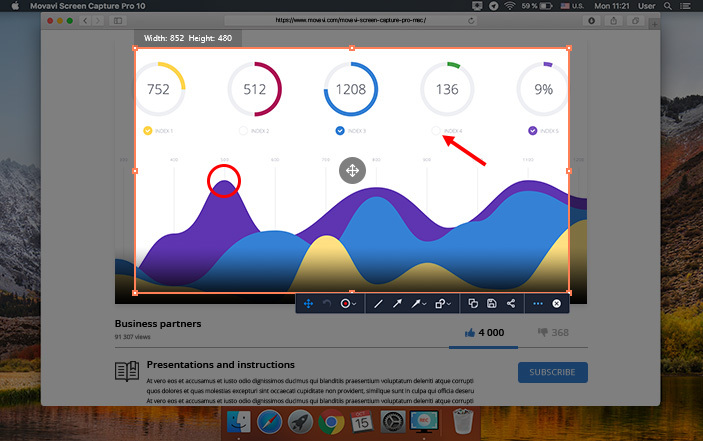 Demonstrate bugs and errors in screenshots, add explanatory arrows and captions. Record important video calls and online job interviews to review later. Save time thanks to the simple interface, fast export, and easy share options. Capture video at up to 60 fps or set a frame rate as low as 5 fps to reduce the final file size. 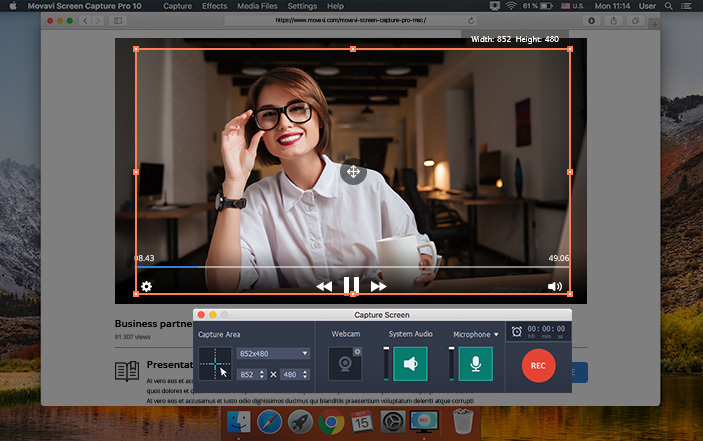 Move and resize the capture frame to record any part of your display; set an exact resolution if necessary. Capture sound from system audio, headphones, microphones, or MIDI devices; adjust audio device volume. 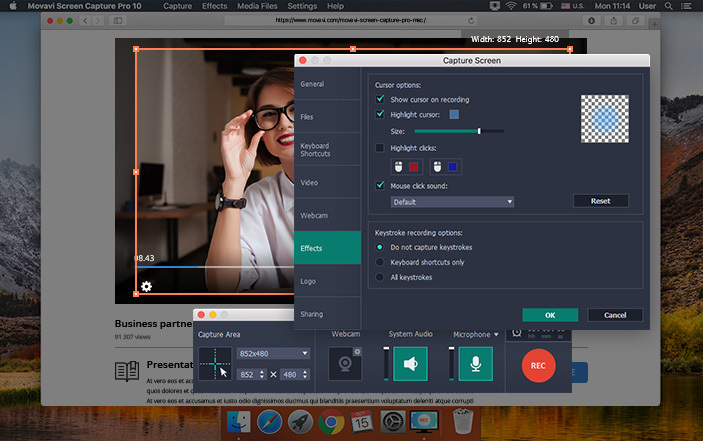 Add a simultaneous webcam overlay to your videos. Display pressed keys and mouse movements, highlight the cursor, add mouse click sounds. 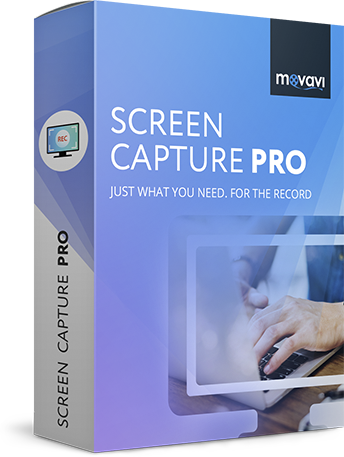 Control the capture process with customizable hotkeys. 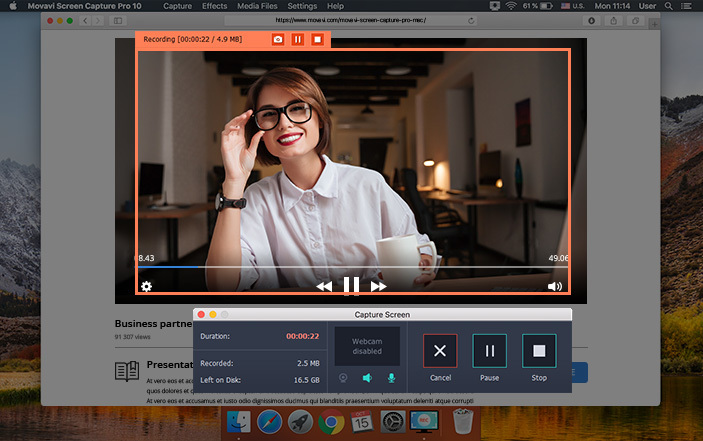 Trim and cut recordings, remove unwanted content. Crop and resize screenshots, add arrows, frames, and captions.